A remarkable story is unfolding in the Arctic right now. As the ice melts and the polar bear struggles to survive in a fast-warming world, another animal is rapidly moving into the northern regions of the planet – and it is starting to usurp the polar bear’s dominant role. 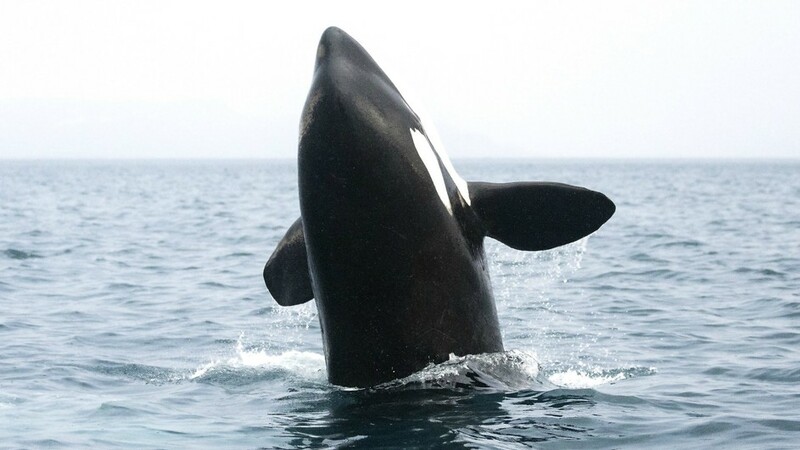 Welcome the new top predator of the Arctic: the infamous killer whale or, correctly, orca. It’s the first time that a camera crew managed to film orcas in Arctic waters, the first time to film orcas hunting narwhal – and the first time to film polar bears catching fish in a river. For centuries, the Arctic and its challenging environment has been dominated by the polar bear – this animal is perfectly insulated against the extreme cold. But now, the polar bear’s world sees a fundamental change. In the last 50 years – and at an apparently accelerating rate – one third of the Arctic ice cap has melted, and more and more open sea is revealed in the summer months. The polar bear’s home ground is vanishing from under its feet. Although classified as a marine mammal, it is not adapted to hunting in the water despite being able to swim huge distances. And polar bears are certainly no match for the world’s greatest aquatic hunter – the orca or killer whale. In the last few years, scientists have started noting an ever-growing number of orcas in Arctic waters in the summer months. And they are not only attacking narwhal, belugas and bowhead whales, but also the polar bear’s preferred prey: seals. As the polar bear’s world is shrinking, the orca’s is growing. The local Inuit people have seen changes in behaviour and increasing orca predation on the local cetaceans. The Inuit are key players in this story. Their lives are intimately entwined with this harsh and cold environment. The introduction of a new aquatic predator impacts their own hunting opportunities – in both a positive and negative way. The film accompanies scientists on a summer trip deep into Arctic waters – to film new behaviours, to meet the Inuit and learn from their first-hand experiences, and to try and understand the impact orcas are having on Arctic wildlife. Tagging the orcas helps to interpret their comings and goings. With the help of the scientific findings, this film explores the fast-changing world of the Arctic. As the television premiere of this story, this documentary will be the first to chart the dramatic events as they unfold: the changing Arctic environment that pits one of the world’s greatest land predators against one of the world’s greatest ocean predators. Read more about the adventures behind the cameras in our article: ‘Behind the Scenes: Killer Whales – Fins of Change’, written by director Ben Wallis.